BurnAware is the ultimate disc burning software. 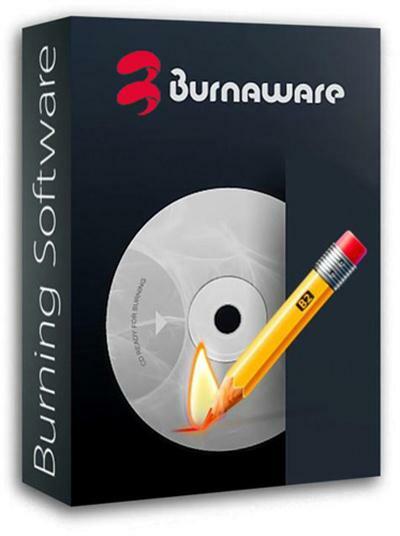 BurnAware Free is one of the most popular free CD, DVD, Blu-ray Disc burning software available for Windows. Using this program you can easily create and burn Audio and MP3 CD, Data and DVD-Video disc, ISO and Cue Image, erase or format rewritable disc, copy your CD or DVD to ISO image. This software is for personal, home use only. BurnAware Professional is CD, DVD, Blu-ray Disc burning, copy and backup software that covers most of the requirements of any organization. Program offers intuitive user interface and low PC resource usage, supports all of available disc standards and specifications: ISO9660, Joliet, UDF, UDF Bridge, El torito. BurnAware Professional is permitted for commercial use and offers several types of licenses: single user license, business and corporate licenses. BurnAware Home is an award-winning burn, copy and backup software. Besides standard disc burning functions such as creation and burning Audio, MP3, Video, Data discs and Disc Images, program offers additional tools for DVD copying, Audio CD tracks extraction, unreadable or multisession disc file recovering. This software is for personal, home use only. Record one or more titles to separate drives simultaneously, even while creating a new title. Duplicate CDs and DVDs or store them as ISO image files on your hard disk. You can always burn them later to create and backup copy of the original movie/game/software. Burn your photos, spread sheets, home work results etc. to CD/DVD/Blu-Ray Disc. A hard disk crash would no longer be fatal to your work or family archives. You can use the same media for sequential recording daily. New data would perfectly co-exist with previously recorded data. The only limitation is the physical media capacity. Burning engine has been updated. Installer and translations have been updated. Few improvements in user interface have been applied. Improved data buffering during the burning process. Optimized data transfer during the copying Audio CD to CUE image. Optimized buffer usage during the copying from disc to disc. Fixed the bug with verification of DVD-R/RW discs. Fixed the bug with writing empty Data compilations. Resolved the problems with burning DVDs with poor quality.